History William Sugg & Co Westminster gas lighting cooking heating appliance manufacturer. History William Sugg & Co Westminster gas lighting cooking heating appliance manufacturer. Hello, my name is Chris Sugg and I am attempting to secure the history of a family company called William Sugg & Co through the posting of as much data as possible that I, my Father and previous family members before, have collected over several lifetimes of interest in the business! Interestingly, for a significant historical date, there are several alternative claims! Murdoch had lit Boulton & Watts Works near Birmingham in 1802 to the astonishment of the populace who turned out in huge numbers. 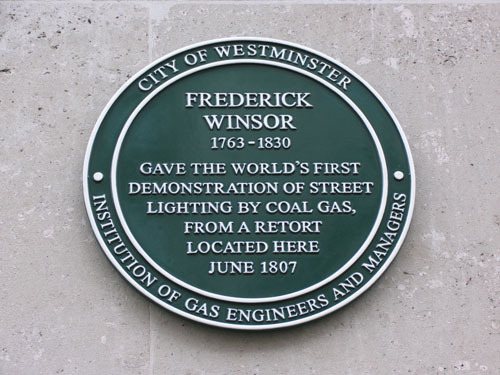 According to the “Monthly Magazine” of July 1807, Winsor first lit a number of lamps on the wall of Carlton House Gardens to celebrate the birthday of George III on 4th June 1807. We do know that Winsor first started his series of lectures in 1804 and who are we at this distance to say that William Sugg had made a mistake over the date, although of course it was well before his own birth. I have now added a full transcript of the account in News Blog as sent to the Monthly Magazine which explains that experiments had been going on for some time particularly to check the soundness of of the pipework that certainly adds to the credibility of the claim. The August 1807 issue of the Athenaeum Vol 2 , reports that The Golden Lane Brewery had erected several gas lamps in Golden Lane and the adjoining Beech Street. 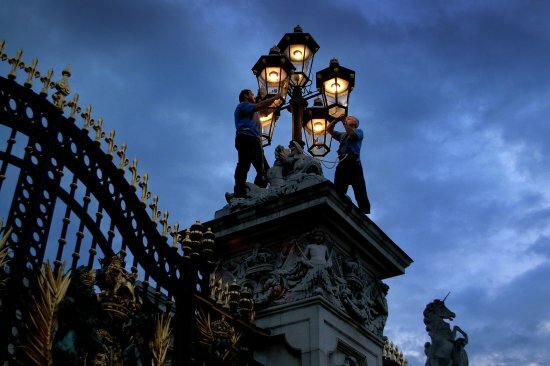 Significantly however, King’s Treatise states that the first public street lighting with gas, took place in Pall Mall, on the 28th of January 1807, which is only one week different from William Sugg’s claim! 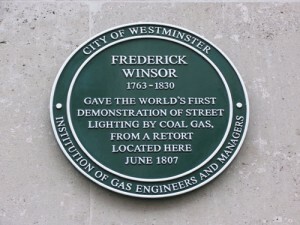 In June 2007 Westminster City Council agreed to mark the bicentenary of the “World’s First Demonstration of Street Lighting by Coal Gas from a Retort Located Here” by the provision of a Green Plaque, so worded, mounted on the wall at 100 Pall Mall, London, the nearest position to the original location. The picture shows ‘unveiling in the rain’ by the Deputy Lord Mayor and the President of the Institution of Gas Engineers. William Sugg & Co has a long and illustrious history in the Gas Industry of the United Kingdom. With offices and sales of gas lighting in many parts of the world, particularly during the last quarter of the 19th century and the first quarter of the 20th century, there are many enthusiasts and collectors of Sugg products who I hope may benefit from knowing a little more about both the products that they may have collected, the enormous range of gas and related equipment that the Company produced, and the background and history of a Company that has its origins at the very beginning of a modern industry. As far as I am aware, the only previous attempt at the history of the company was made in 1937 for the centenary of the founding. The booklet, complete with silk ties as shown above, was produced for the occasion, outlining the major steps in the development of the Company. With the marvels of modern websites you can now view the whole of it by flipping the pages! Obviously the development of the Company from 1937 onwards was dictated by many things, not least of which was the decline of gas lighting which had been the mainstay of the Company since its inception. How the Company finally embraced the 20th century in its new factory in Crawley is all part of the story which I shall attempt to unravel. Although William Sugg & Co. Ltd was subject to an unwelcome takeover in 1969, a group of ex Wm.Sugg employees with Chris Sugg and Keith Bouracier at the helm started a new company in 1973 which in due course became Sugg Lighting Ltd. The heating products of William Sugg & Co. Ltd. having been absorbed into another company following the takeover, the once famous name was eventually dissolved. Sugg Lighting Ltd, however, manufacture both gas and electric lighting equipment with a strong flavour of the past and the eye-catching open flame “flambeaux”. In 2008 Sugg Lighting Ltd was awarded a Royal Warrant as a “Heritage Lighting Manufacturer and Refurbishment Specialist”. Their website and contact information is included in the Contacts section. PLEASE NOTE THAT SUGG LIGHTING LTD IS NOT WILLIAM SUGG & CO.LTD. AND CANNOT CLAIM TO HAVE BEEN FORMED IN 1837. THE FAMILY CONNECTION HAS NOW BEEN BROKEN BY THE RETIREMENT OF CHRISTOPHER SUGG AND THE SALE OF THE COMPANY. FOLLOWING A FURTHER SALE THE COMPANY WAS PUT INTO ADMINISTRATION AT THE END OF 2018 AND A FURTHER SALE IS IN PROGRESS. Chris Sugg independently offered from his retired position a super-specialist service in interior gas lighting fixtures, spares including glassware and advice and assistance on all matters Sugg! See Contacts. PLEASE NOTE that the reduction in available parts – and anno domini – has now (2017) reached a point where it is unlikely that Chris Sugg can still manufacture any more interior fixtures. A few items remain and I am happy to reply to enquiries. Some glassware can, sometimes, be made to order – at least at present! The site is split into a number of sections built around product groups which are then split further into individual products or even further groups. During the development of the site there may well be sections that carry only an introduction as this is an enormous task! However, do not let this prevent you from enquiring should you have a specific question on a ‘thin’ section. The original website was started in 2006, since when there have been vast strides in website design and presentation. This NEW Website has been developed to provide a more modern and easier system of navigation with an entirely new level of interaction and improved visual content. Finally, I would like to add that the vast majority of documents, illustrations and pictures used on this site are from my own collection. Literally hundreds of pictures from this collection have been scanned professionally at very high resolution for the Gas Industry Archive through the auspices of John Horne for the future enjoyment, historical interest and for researchers in the future. Some items that I have included have been photographed when a collector has brought them along or even sent a picture and I apologise if I have not recorded the source. The source of independent articles that may have been quoted are given where known and my grateful thanks go to many people and any unspecified sources that help to make up this unusual history of a Company that helped to form the world we live in. The ‘History‘ section provides a sequential story of the people and the business whilst the huge range of products are split separately into ‘Lighting‘, ‘Cooking‘and ‘Heating‘ and a ‘Technical‘ section that covers gas control, carrying, measurement and testing equipment – and anything else that doesn’t fit in the obvious sections! Many Sugg pieces of literature are collected in their own right so these have been given a section under the title ‘Publications‘, to enable collectors to recognise them. It appears that the truly hungry researcher/collector has been frustrated by not being able to ‘open up’ the various catalogues, so for the Jan 2010 upload I have added all 103 pages from the 1931 List 11. This section has now itself been split into three, ‘Literature‘, ‘Books & Papers‘ and ‘Advertising‘to simplify the organisation of this large collection of information. I have included a separate ‘Collectors‘ section to show relevant collections which will not necessarily all be Sugg but will always include some ‘home’ products! This may also include pictures sent to me if they do not fit into any other section! The ‘Contacts‘ section provides means of increasing your knowledge of the subject from museums to archives to gas lit pubs! Time will show if more sections are required! This last comment has now come true! In order to assist the reader in finding something relevant or of interest to their particular search I have started a section called ‘Thumbnails‘ which, as the name implies, carries thumbnails of all the pictures on the site collected into the groups in which they are used. Thus, if you have a query about ‘lighting’ for instance, you can review all the pictures within this huge group without having to wind up and down many pages of full size text and pictures. Back in 1979 my father, P. Crawford Sugg B.Sc.(Eng. ),A.C.G.I.,C.Eng.,F.I.Gas E.,F.C.I.B.S., Honorary Secretary, The Institution of Gas Engineers, presented a paper to the 116th Annual General Meeting under the title of “Using gas, yesterday and tomorrow”. Whilst this website is dedicated to providing Sugg specific information, the paper provided an overview of gas ‘utilisation’ indicating and illustrating the steady improvement in manufacture and design achieved by the British gas appliance and equipment makers during the last fifty years (from 1979) in all significant aspects of gas utilisation. Thus his paper provides an important chronological history of both appliances and manufacturers, peppered liberally of course, with the achievements of William Sugg & Co in this context. For anyone interested in the history of the Gas Industry this is an invaluable reference and, with the agreement of the Institution I have been given the opportunity to quote liberally from it as a means of disseminating the information more widely and of course filling in details for many aspects of the history of William Sugg & Co which are within this website. This paper is included as a separate section under the heading ‘Gas Utilisation‘. A new section entitled ‘Brassware‘ has been added for 2013. The Company made tens of thousands of brass components and this section describes this important aspect of the business. For the same year, 2013, another new section ‘Location Pictures‘ has been added to provide a space for pictures that either don’t fit anywhere obvious or are additional to ones already in a particular section. If they are additional they are given a hyperlink back to the relevant section. All the pictures have also been added to the ‘Thumbnails‘ section in the order used as before. There are currently over 700 pictures on the whole site! In addition to splitting the Publications section in three in 2014 a new section has been added on the ‘Other Manufacturers‘ who produced gas street lighting during the period of time that William Sugg was in production. This section will necessarily be a joint effort asking for as much information as possible from enthusiasts, collectors and anyone who has detailed knowledge of this popular area of interest. In 2018 a new section entitled simply ‘People’ has been added to provide a space for photos and recollections of and about employees and Sugg family to give an extra dimension to the history of the company. The History section has been enlarged again with the details of the ‘sale’ of the business by William Sugg to form the Limited Company in 1881 and the amazing Crystal Palace Exhibition display in 1883. There is also the story of a fire started by an aggrieved employee in 1896 & his eventual capture after a ‘desperate struggle’ in 1905! Follow the section chronologically. Two new sections have been added, ‘Brassware‘ and ‘Location Pictures‘ and the Windsor lamp section has been considerably enlarged and the Christiania & Argand section has been rearranged with lots of pictures added. A new ‘Collector‘ has been added. “Light is the most beautiful of materials, it connects us to the natural world, as this world becomes more artificial its purity becomes even more powerful” David Chipperfield. “All the darkness in the world cannot extinguish a candle” Anon. “Light gives objects existence as objects and connects space and form” Tadao Ando. “Darkness cannot drive out darkness, only light can do that. Hate cannot drive out hate, only love can do that” Martin Luther King. Enjoy Your Visit and do let me have any practical feedback via the Leave a Comment Space. Chris Sugg. He instantly knew “Sugg” had used us Fort Brokenhurts (?) lamp in gateway arch Portsmouth I think it was and Dover Castle? and promoted us to colleagues – has sugg catalogue at his home. He mentioned a precious set of documents which contains all the Forces historical buildings plans and photos. I was thrilled to see this Benchmark Company so notably listed. When I arrived in London in 1962 (I think), I was very privileged to obtain employment with this very illustrious Company. The people I worked with, came from all over the British Isles, Scotland and Ireland. I shall always remember our dinner breaks and the conversations we had, many of which, I can still recall today. I moved on to Canada, and now the USA. But many fond memories of my tenure with William Sugg shall be mine to treasure for ever! Thank you. I have fond memories of working in the heating design office in Regency street and moving to Manor Royal,Crawley with Suggs.I moved to Tyne and Wear in 1973 withThorn,helping to set up a new heating design office.Your Dad,Mr.Crawford was a class act.I remain firm friends with Terry Dunn,who started work in the Vincent Works foundry! !I worked for Tom Frampton/Monty Peacock in the design office. Hi Ted, how nice to hear from you! I have often wondered if Wm Sugg employees from the later stages would come across my site. Of course I remember you and didn’t Terry work with me in the office downstairs? What I hadn’t remembered was that Terry had worked in the foundry at Vincent Works. I never worked in Westminster and only visited as a boy when my father took me around and showed me the foundry which I think was casting aluminium parts for early Halcyons at the time. I would really like to add some more details about the late stages in Westminster and Crawley and what happened with Thorn and later takeovers. As you know, Keith and I started again eventually building a business which, although we are no longer involved, still exists now in Horsham making traditional lighting and gas flambeaux. There is a separate website under Sugg Lighting Ltd.
Hi Chris, I worked at Manor Royal just at the time Thorns were taking over. I worked in the Drawing Office with Ted, John Newcombe, Vic Franklin, Mick MacMahon, Robin, etc. I had a great time there, very funny every day with them. I moved to the Main Office in 72 and stayed till the closure working with Derek Saunders and Doug Pilbeam. I’ll never forget the social aspect of the place. Good times indeed. I went on to work at APV for many years, before finishing my career in Liverpool with Nutricia. Thank you for making contact and your reminiscence of the drawing office at Manor Royal and especially for the names! I find the filing cabinet is so full these days that names can easily escape! I spent some time in the DO myself and was there in 1966 when I heard of the birth of our fist son earlier than expected and had to dash off to Redhill hospital! My daughter is trying to buy a house in Cambridge. Not as irrelevant as it sounds. Built in the 1960s, it has a Sugg heating system throughout. and then tripped over your website last night. If the sale proceeds further, I shall no doubt be there again and could take more pictures. David, You need to check with the owner what has happened to the Halcyon! Your photo inside the cupboard shows the pull-off front cover of an early Halcyon F60 lying on the duct base where the heating unit would normally be. That is to say the Halcyon is missing. Maybe it has been removed to service or maybe it has failed and been removed so that you cannot check it. All is not lost, however! If you can get no answers from the current owner you should look for a preferably local heating engineer who has dealt with warm air appliances. I am sufficiently out of date not to know what is currently available but I do know that one of the major competitors of Suggs called Johnson & Starley still specialise in warm air and doubtless will be able to suggest a replacement appliance. https://williamsugghistory.co.uk/?page_id=30#warmair illustration 43 shows you what it should look like. The cover you have clips across the open front you can see in the picture. While doing some research into Liverpool railways, I came across the following from the ‘Liverpool Mercury’ 4 Sept 1890 – article on the Wirral & Birkenhead Agricultural Show. I just wondered if you have any idea what is being talked about here. The Mersey Railway had much need of ventilation, as it had pioneered the idea of running steam trains through deep-level underground stations. These stations also had gas lighting. I suspect that the range of possibilities is too great for any meaningful conjecture, but there’s no harm in asking. I do know exactly what they are talking about and I realise that ventilating – apart from the famous ventilating sun burner – has so far not made it onto the website except for a brief mention and illustration in the History section for 1903 with the catalogue picture and double page on the “Patent Ventilator for Torpedo Boat Destroyers, Torpedo Boats etc.” Go to Section 3 of History and wind down until the several pictures on Buckingham Palace. It is immediately after this! Now that you have raised it I am trying to see where I might fit it in! Whereas the sunburner provides the energy to ventilate by burning gas so that I included sunburners under the general title of Lighting, William Sugg seems to have made a name for himself in ventilation that does not necessarily use gas at all! His knowledge of air movements and ventilation for gas lamps obviously inspired him to solve ventilation problems in a number of vehicles in which the only energy is that produced by the movement of the device through the air. Hence a catalogue page to be added which illustrates “continuous up-draught” ventilators – extracts foul air from ships cabins, sleeping berths, coal bunkers, holds etc and claims down draughts impossible and continuous up current. It also shows a railway carriage and for ‘tram cars’ showing one that is horse drawn! I will review possible places I can add several pages from the ventilation catalogue so that you can see more clearly how this worked. I have now uploaded several pages illustrating the Continuous Updraught Ventilators. Very good indeed Chris – a joy to read through. Good luck with this – what a great idea and so good you are recording the history of the company. By the by – the Hicks family had their building yard opposite the Houses of Parliament but were kicked out so they could build St Thomas’s. Just enjoyed reading the history of sugg gas lamps. Thought you might be interested to know we purchased an original sugg windsor strèet light nearly 40 years ago from our local council when they changed to electricity. We have the lamp in the front of the house and although we have the original gas fitting we have converted the lamp to electric. Thank you Ann for taking the time to comment and I am glad you enjoyed what is a growing archive, a website being the only way to achieve the flexibility of adding and altering what would otherwise be a book that I could never have finished! I had a Windsor lamp on gas myself for probably 25 years at our previous family house and we moved 20 years ago. I am pleased to say the Windsor is still running on gas! As they had made 50,000 Windsor lamps by 1906 it is not surprising a few have survived and of course they are still being made. 1889 to 2014 = 125 years! I think we met many years ago when I worked for British Gas (Gas Council) in their exhibitions department, I designed their stand at the Chelsea flower show and on the stand in prime position was a Sugg Windsor gas lamp,which at the end of the event I bought. Sadly I never got round to installing it until recently!. The only thing is as yet I haven’t connected to the gas supply, would that be difficult and expensive ? Or as an alternative should I try converting it to electric which would be a shame as gas light has movement and a softer light. Is it a post mounted or wall bracket mounted Windsor? For ease of operation you should definitely have a remote controlled burner with a solenoid and permanent pilot so you can switch it on and off with a switch or time clock. It is a very simple appliance which uses very little gas but you should ask an approved installer to run the gas and electric supplies. If you have trouble finding anyone do come back to me. I have a post mounted Windsor that I had to leave behind in my last house which has run happily for at least 30 years. No gas where we are now! Thanks for coming back to me, It’s a post mounted Windsor and yes I had gas put into my property a couple of years ago and at that time I got the engineer to do a tee off in anticipation of firing up the light. I have taken onboard all your other comments thank you, also if you could recommend an installer I would really appreciate that. Being a Doulton Lambeth ware collector, I was intrigued when I managed to obtain an 1885 Doulton & Watts (Lambeth) Ceramic Gas Light Surround. It’s flared at the base & pierced to allow internal light to cool. It originally surrounds a Wenham Recuperative Inverted Gas Lamp made by Sugg & Co. The Doulton design No is 33955. The archive Info from Museum of London states when referring to the pretty decorated Doulton part of the assembly “a short lived interior light fitting known at the Wenham ” “The rest of the assembly being brass and having a glass dome ” When I bought it I thought it was part of a jardiniere ! I’d love to see an illustration somewhere as I really can not picture this apparatus !!! Can you help please ? Dear Mick, If you go to the “Market Place” section you will see a couple of bodies, one of which is definitely Doulton that are looking for a home – unless you already have it! The other section that has many ceramic bodied gas fixtures is the one called Cromartie. If you can’t find it use the ‘search’ facility at the top of most pages. Just put in ‘Cromartie’ or even ‘Doulton’. These are amazingly ornate fixtures and I think Doulton may well have supplied the bodies. The ‘Wenham’ name is another manufacturer so far as I know but Suggs may well have made these fixtures for them whilst Doulton supplied the bodies. Dear Dorian, Thanks for getting in touch again. I do know this picture because it was printed in a Science Museum booklet. The product itself used to be in their lighting gallery in a showcase next to a nice Sugg 3 arm possibly waterslide pendant. I have a picture somewhere to check and I will add it someday all being well! Hello Chris can you contact me by email as I have a request for information regarding the Sugg Family. Thank you. hi chris i am an avid collector of clocks and recently aquired a fantastic large fusee boardroom clock. on the dial it has the words..WILLIAM SUGG & CO WESTMINSTER.IT ALSO HAS THE PORTCULLIS EN AVANTE TRADEMARK ON THE DIAL.. i wondered if you have any info or pictures of this clock in situe in the boardroom.. ps i am selling this clock if you know of any interested collector…cliff..
Clifford, you will find a couple of Sugg clocks in the Technical section under ‘Other Items’. One may even be the one you have acquired because it came from the Westminster boardroom but I will leave you to read all about it. Should it be another fusee clock then I would be really interested in having some photos to add it to the site. The easiest way to navigate to the right place is to simply type ‘fusee’ into the ‘search’ box when it will jump to ‘Other Items’ and click on ‘Read more’ and then wind down a little way to the clocks. I hope you find it useful. Thank you, as a Westminster business yourself there is a lot of local history. I am intending to deposit my William Sugg collection of material in the Westminster Archive in due course as I think this is the obvious place for it. They have agreed but I have not finished with it all yet! An excellent website which I have only just discovered. I believe William was my mother’s uncle so it is of particular interest. She was Minnie Sugg and grew up in the Chingford/Hymes Park area of east London and became a Tufnell when she married my dad. She had a brother Len Sugg and you may have already had some contact with that side of the family. I did know of the connection but your web site is so much more illuminating, well done! Hello Richard, thanks for the comments.I have quite a lot of family info and I am pretty sure Len is amongst it. I will have a look through and let you know when I have a mo. The other Chris Sugg has a good deal of family info so you could look at that. Go to the contact info page and look for Sugg Family Genealogy. Just purchased a house built circa 1926. Whilst working underneath the floor i found part of an old quotation from william Sugg for some special arp lighting which did not need to be extinguished during an air raid! A steal at 12 shilling & 2d. It is extraordinary what turns up! Is there any chance that you could scan or photograph the document and send it to me? I have some ARP lighting information for street lighting but it sounds as if this just might be an interior light? Whilst working on site at a Police property in Folkestone, one of our Engineers came across an Old Halcyon/Suggs warm air heater and what I believe to be an Ascot water heater. I have pictures of the items (these no longer in service) that may be of use to you and may help identify the unit. There is a data plate visible in the photo but we do not have a close-up photo of it. Hello Mark. There are 3 pages of Experimental Meters in the 1909 catalogue, one page of which is shown, along with some photos of meters and a story about part of one of these meters found in Australia under the Technical section of this site. Put ‘Gas Meters’ into the search box and wind down a little way if you haven’t already been there! In essence these meters are very carefully manufactured in order to provide accurate measurement of gas consumption of appliances under test. They often include time clocks and automatic stop arrangements to cut off the gas when any quantity of gas from 1 to 10 cubic feet has passed. I would really appreciate some pictures of your meter and I should then be able to identify the actual model and perhaps provide more data. Thank you. Hi Chris it’s Wayne sugg here Noel suggs son. I was looking for some information about Elizabeth sugg and David sugg. What happened to them were did they go to and did they have family’s of there own? Hello Wayne, I have lots of information on Lizzie and a little on David and of course the third son of William’s first wife Emma Parker was your line through Walter John – known as Jack. It’s a bit outside the website so I will send you an email with the details. Incidentally I did not hear from your father! Hi from Antofagasta city, Chile country, wonderfull history, very very important legacy. Thanks for sharing your thoughts about william sugg history gas lighting 1807. A friend of mine, Phil Roberts, worked for your company in London. He didn’t move to Crawley but played for your team, Suggs Athletic, in the Crawley & District Football League.Through my friendship with Phil I got to play for the team as well.We used to travel down by train from London for the Saturday games. I played in goal. I recall a chap called Charlie Amer who was captain.I think I lasted one season-1964ish. I was the only Irishman in the side-just to jog memories!. Brian, thanks for getting in touch. I hope it rings a bell with someone else. Personally I know nothing about the team, Suggs Athletic, so if anybody can add anything maybe we can find a space for it on the site! Where did your friend Phil Roberts work in the Westminster factory? Phil Roberts had a clerical job with your company, possibly in Accounts. I haven’t seen him or been in touch with him for about 47 years. He got married in London(circa 1970) and emigrated to South Africa.I returned to Ireland in 1973. Reports of our matches appeared in the local Crawley newspaper. Our colours were green and white stripes. Some memories may be jogged!. Thanks, Brian, we will see if anyone else remembers the green and whites! Do I know you? Your name is familiar! knew of any community forums that cover the ѕame tоpics discussed here? I guess it needs a Facebook page or similar. I haven’t looked for one but if you come across anything do let me know! The NEW Sugg History website. After 8 years of steady additions to the Sugg History Website, using a platform that is no longer supported and a style that has become somewhat pedestrian to use, I hope you find this entirely re-cast version much easier and quicker to find your way around and to interact using the 'leave a comment' spaces. Apart from the simpler fly-out indexing, several features have been added, such as the ability to enlarge pictures by clicking on them. 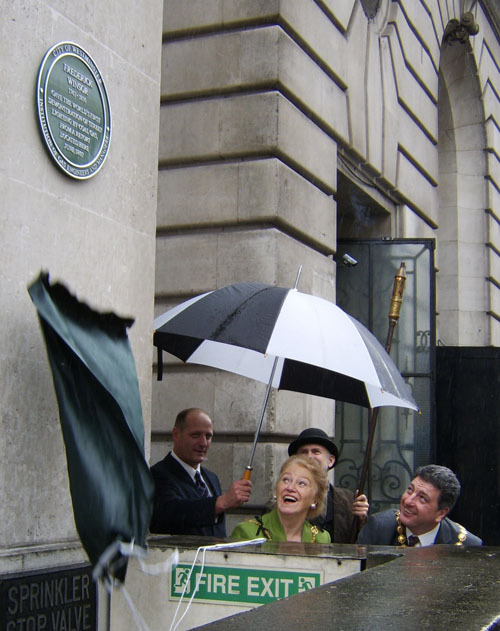 (You can try this out on the plaque unveiling picture on the right a little farther down.) This facility will not be fully functional until larger images have been uploaded but will apply to most new additions and in due course many of the older pictures too. It should also be easier and quicker to provide additions as there is still a huge amount to be added! Another NEW system addition is the 'Flip Page', the first of which you will find on the home page to allow you to see the whole of the Centenary Booklet. Others will come! A significant addition is the 'Search' box which can help you to find specific items. The website is designed to be used on all modern devices so can be referred to wherever you are! The rest of the information below comes directly from the previous website and will remain whilst still relevant. As this website is subject to continuous development, please note the revision date on this page for when you revisit. First uploaded 13th May 2006. LAST UPLOAD - PREVIOUS VERSION - March/April 2014. A new section has been added with this upload to (begin) to provide information on the many Other Manufacturers of gas street lamps that operated during the years of William Sugg. If you are new to this site, start with the HOME Page on the right for an overall description of the Sugg story and how this site works. For a quick overall view the 'Thumbnails' section provides a picture index currently carrying over 700 pictures listed against the relevant sections. The Publications section has been split into 3, namely, Literature, Books & Papers and Advertising to simplify the organisation of the vast number of items previously collected together under the general title of 'publications'. I am pleased to say that this site has been accepted by The British Library and has been archived for future security. Updates are added regularly. The background to the site is a modern picture of Westminster, the 'home' of William Sugg for so many years. It was taken from the roof of The House of Lords during a visit by the Heritage Group of CIBSE in 2004 and centres on Westminster Abbey. The header carries a woodcut of 'Vincent Works', the Sugg factory, which might well have been visible from this vantage point. William used this on one of his letter heads. The first and oldest logo also shows the intimate connection with Westminster as it carries the Westminster portcullis with the inscription 'en avant' - 'in advance'. The second logo replaced the earlier one around 1920 and was used right the way through the century until the 'modern' era when the 'flame' logo was applied to the new era of gas heating equipment with the new factory in Crawley.